The original version of this article, by Michael Kugelman, appeared on Foreign Policy’s AfPak Channel. Pakistan’s 2011 census kicked off in April, but less than three months later, it is embroiled in controversy. Several members of the Sindh Census Monitoring Committee have rejected as “seriously flawed” the recently completed household count. They allege that census workers, directed by an unspecified “ethnic group,” have counted Karachi’s “inns, washrooms, and even electric poles” as households in an effort to dilute the city’s native “Sindhi” presence. These Census Monitoring Committee members are not the only Pakistani politicians to be concerned about the census. Pakistan is experiencing rapid urbanization; while a third of the country’s people have long been rurally based, at least 50 percent of the population is expected to live in cities by the 2020s. 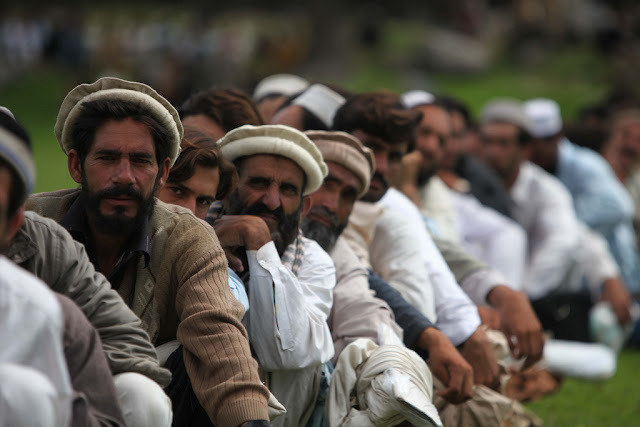 Pakistan’s political leadership draws much of its power from rural landholdings, power that could be greatly reduced if a census confirms this migration toward cities. This politicization underscores the perils of census-taking in Pakistan. In many other nations, it is a routine process completed regularly. Yet in Pakistan, myriad factors – from catastrophic flooding and insufficient funding to the turbulent security situation and intense political opposition – have conspired to delay it for three consecutive years, making the country census-less since 1998. Accurate census data enables governments to make decisions about how to best allocate resources and services. In Pakistan, such decisions are critical. Consider that its current population, estimated at about 175 million, is the world’s sixth-largest. It has the highest population growth, birth, and fertility rates in South Asia – one of the last regions, along with sub-Saharan Africa, still experiencing young and rapidly rising populations. Additionally, with a median age of 21, Pakistan’s population is profoundly youthful. Two-thirds are less than 30 years old, and as a percentage of total population, only Yemen has more people under 24. Michael Kugelman is a program associate for the Asia Program at the Woodrow Wilson Center and co-editor of Reaping the Divided: Overcoming Pakistan’s Demographic Challenges. Photo Credit: “Pakistan Diaster Relief,” courtesy of flickr user DVIDSHUB. See here, here, and here for Mike's other recent posts on Pakistan's demographic issues.